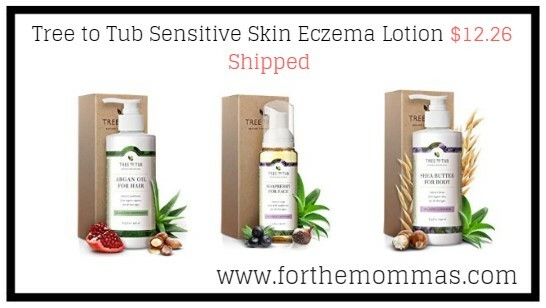 Fragrance free hypoallergenic lotion is what every sensitive dry skin needs. Amazon is offering 25% off on Tree To Tub, Organic face, body and hair care. Amazon has Sensitive Skin Eczema Lotion on sale for $13.59. In addition, there is a 5% off ecoupon to clip. They ship free, plus you get another 5% off when you subscribe and save, making the final price $12.26 shipped. If you have 5 subscribe and save items at once, you will save 15% off.